One of Kenya’s premier safari companies, Gamewatchers Safaris, is keen to see a greater return of British clients to the treasures of this beautiful country. Towards this end they are offering some truly special prices for 6 or more day safaris. Most cover the key wildlife areas of Kenya such as the Masai Mara, Amboseli, Ol Pejeta Conservancy and Nairobi National Park. These include flights between these key locations and you will be staying in Porini Safari Camps which are small, exclusive and run on environmentally sound principles. Prices start from US$2,765 per person (Just over £2,000 per person) which includes all the flights, meals and most drinks as well as game drives in each location. There are a number of permutations for types and lengths of safari to include all that Kenya has to offer and building a safari to suit your needs is what we and Gamewatchers love doing. 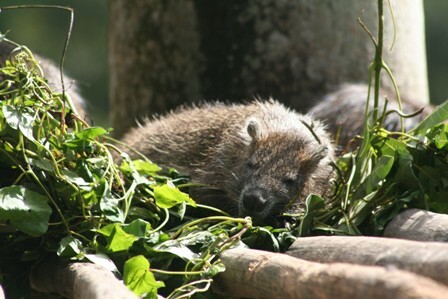 However, because the camps are small in size, places go fast and the special offers will not be here for long. Seeing the wildlife of Hwange National Park in Zimbabwe is a stunning experience on its own but Imvelo Safaris have just announced the start of horse riding from two of their lodges. This would be a completely different way of seeing the wildlife of visiting the village close by for a genuine cultural experience. In line with Imvelo’s ethos, this new activity has been brought to life in partnership with the communities. It has provided new jobs and will support Nganyana Village close to Camelthorn through guests participating in the cultural ride! During your visit the villagers will gladly show you the different ways they try make an income including basket weaving, beading and jewellery making – riders are welcome to try their hand at these crafts too! The magnificent and expansive savanna vleis that border Camelthorn along with the Ngamo Plains make for the best safari riding areas in Zimbabwe and guests will now be able to enjoy leisurely strolls or more adventurous rides all led by experienced horse guides! The sense of freedom, silence and tranquillity, with a touch of adrenaline thrown in too, brings you closer to nature than you may have ever been before. Rovos Rail, one of our favourite carriers for that ”extraordinary” way to see Africa, have just announced a new 15 day trip that takes in Tanzania, Zambia, Democratic Republic of the Congo and Angola. It has taken patient diplomatic negotiations to arrange permissions along the whole route and it has taken over 2 years. The inaugural trip sets off on July 16, 2019 from Dar es Salaam (a city familiar to Rovos Rail as it has been running its 15-day Cape to Dar trip since 1993), and includes a game visit in the Selous Reserve, a fly-in two-night safari in the South Luangwa National Park (Zambia) and a city tour of Lubumbashi (DRC). Thereafter, it joins the Benguela line for short walking tours detailing Angola’s recent history with journey’s end in Lobito. The voyage is available in reverse departing from Lobito (Angola) on August 2, 2019. Rates, which start at US$12 820 per person sharing, vary according to suite type and are fully inclusive of accommodation, meals, all alcoholic and other beverages, room service, laundry, an on-board historian and doctor as well as excursions and the fly-in two-night safari (accommodation, meals, bottled water and a limited wine selection). Not included are pre- or post-tour accommodation, flights and transfers. A wonderful way to see parts of Africa that are often difficult to access or combine. Give us a call to be one of the first to experience this amazing train journey – it will fill fast and places are limited. 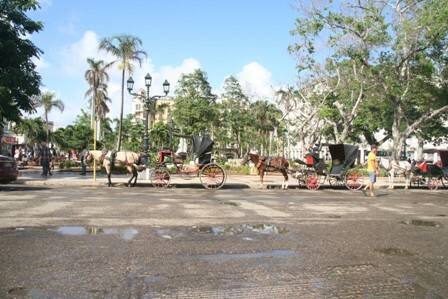 Cuba is a destination that is hugely popular at the moment, the increase partly due to changed relations with the US, and this in turn spurring on potential visitors to explore the island before it changes beyond recognition. Peter and his wife Julie visited for a holiday last month, and loved it! Below is their report. 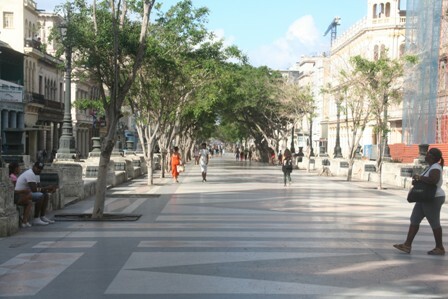 With direct scheduled flights from Gatwick to Havana, and charters from both Gatwick and Manchester to Holguin, Cuba is easily accessible and well worth considering for your next Experience Holiday. We stayed in B&B accommodation for almost the entire trip and they are recommended – better presented and family run. However there are good 5 star hotels with more on the way should this be your preference. The B&B’s are good value and often well located – ours was very central making everything very walkable for the Old Town. You should consider a 4 night stay here particularly if the plane gets in late. There is so much to see and do and it is very worthwhile having a guided (themed) tour as many of the best sites are not obvious or easy to find. Added to which you will be shown the less touristy side of the city. Every kind of method of getting around from donkey carts to old Russian trucks squeeze through these streets so keep your eyes peeled. Certainly try getting around on a biki taxi, a coconut taxi and for sure book at least a 3 hour tour of the city and Hemingway Finca in a Classic convertible also taking in the fortress (the biggest in the New World). We have a list of “Paladars” which are privately owned/run restaurants which are excellent but often fill quickly – so book some of them for the trip. Rum cocktails abound, especially mojitos which it is claimed were invented here. 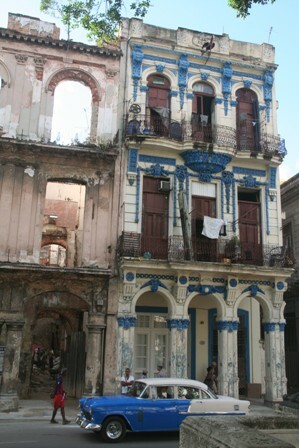 Havana is a very safe, walkable place with huge contrasts in architecture and levels of renovation – from ruins next to renovated. We took the long way down to Cienfuegos to take in the wilder Zapatas Peninsula which is a RAMSAR site and a big National Park. 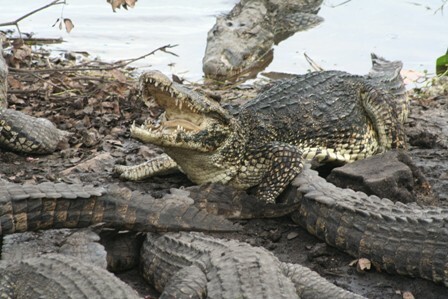 We stopped at a crocodile breeding centre (for the endangered Cuban croc) which was interesting and also the place to catch your boat to Villas Horizintes Guama. This is a good eco lodge deep in the Park and worth a night or two. Bay of Pigs is the site of an abortive invasion of Cuba in 1960 but there is little to see here. It is also where you find “sink holes” connected to sea which are full of colourful sea fish. Take your swim suit so you can take a dip in one or to snorkel off shore. A good diving spot as well. Cienfuegos is worth a one night stop as it has plenty of history, is very clean and some interesting architecture – Palacio de Valle is perfectly placed for outstanding views of the Bay and city. Cruise ships come in regularly, so get your sightseeing in early. The casa particular that we stayed in was eclectic and fun and had good food. Not too far to go from Cienfuegos but we detoured in to the mountains, Sierra del Escambray so that we could undertake a 3 hour hike through the mountains. There are caves, waterfalls, plenty of bird life and a chance to cool down in any of the cool clean pools you find along the trail. Well worth doing on the way to Trinidad. 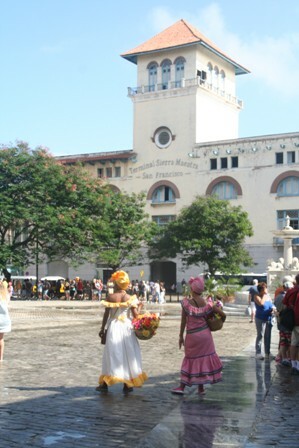 Trinidad is a must see destination – a really well preserved Spanish/Cuban city which is very easy to wander around. Plenty to see and do, including dancing lessons and every evening dancing on the steps of the Casa de Musica. Live music is everywhere in Cuba and most of it is good. While here take the train to the sugar growing Valle Los Ingenios – slow but fun with a bar on board if you are missing your mojitos. Here visit the eighteen century mansions of the sugar barons and their slave quarters and learn about the sugar trade and those that worked for it. Finish a trip to Cuba on the beach. We went to Varadero which is well developed with large hotels and nothing like the rest of Cuba. The beach here is beautiful white sand, kept very clean and the water crystal clear. A great place to unwind and relax. Most hotels are all inclusive. All have entertainment and there are places away from the hotel to eat out at (one is Al Capone’s old home). There are a number of other beach destinations which have their own appeal depending on your interests and preferences. 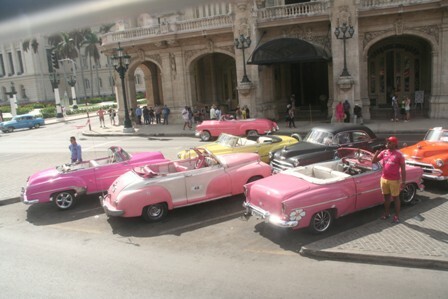 For more information on Cuba, give us a call or send us an email – we’d be more than happy to chat through ideas and possibilities with you. All pictures courtesy of Peter Ellis.